www.AmericanExpress.com/BPlatSurprise - Amex Business Platinum 10,000 Membership Reward Offer - Deal Biscuit - Eat The Info! Once you have enrolled in the offer you will receive your 10K point bonus as with your next purchase on your American Express Business Platinum Card. There is not price requirement which is necessary to meet in order to be eligible to receive your points. Any purchase will activate your reward points. Your purchase must be charged before the expiration time of the offer (10/31/18). 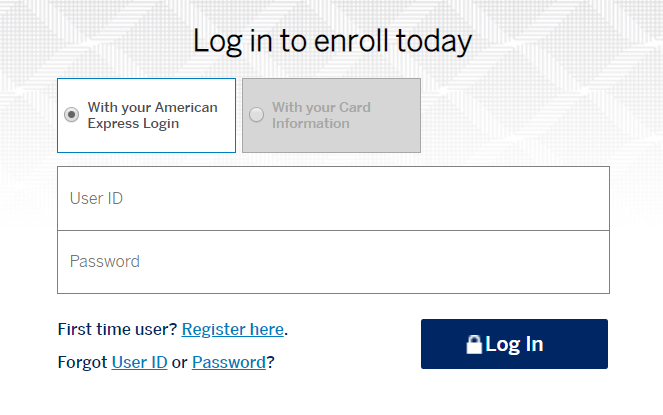 Once you provide your User ID and your password you can access your account and will be directed to your enrollment page for the special offer. Upon completion of the enrollment, no additional action is required aside from completing your purchase before the expiration date. For customers lucky enough to be included in this offer, there is absolutely not a single reason to take advantage of this surprise bonus. Even if you do not frequently use this card, this deal is far too good to pass up. Once you have completed your purchase you can expect your Reward Points to be available in 8-12 weeks after you have completed the single purchase requirement.